I forgot that I made this. Time for a massive update. 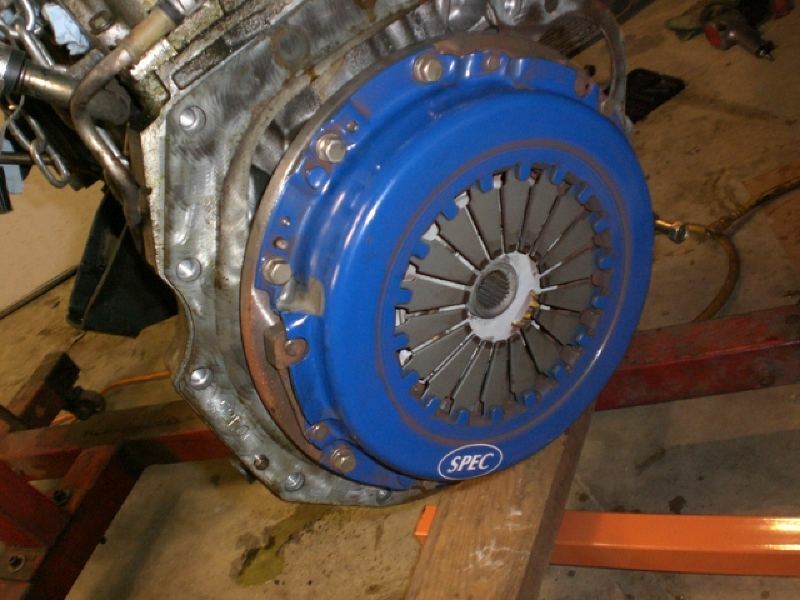 I discovered that the previous owner had installed a SPEC Stage II clutch- he told me he replaced it, but couldn’t remember what it was. It looks to be in really good shape, so it is good to know that I won’t need to replace it. 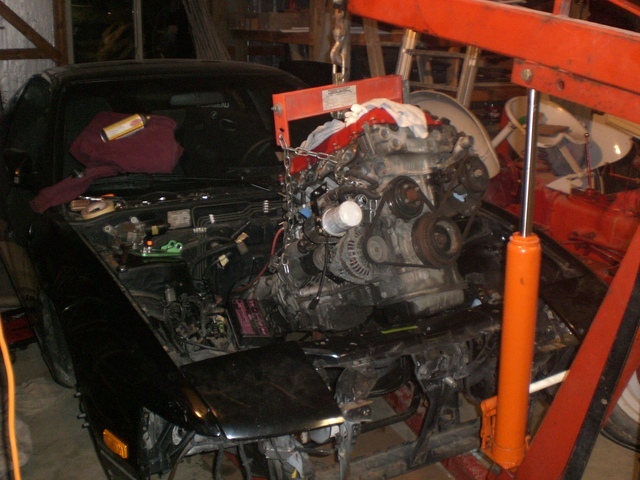 So with the motor out, I started tearing it down. 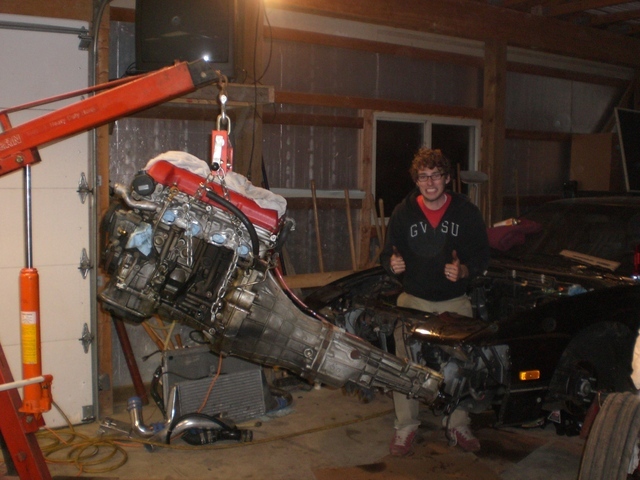 We got it pretty well torn down and transported it to Tim’s barn out in Grand Rapids- since he has the knowledge and tools to help me take the motor apart correctly. 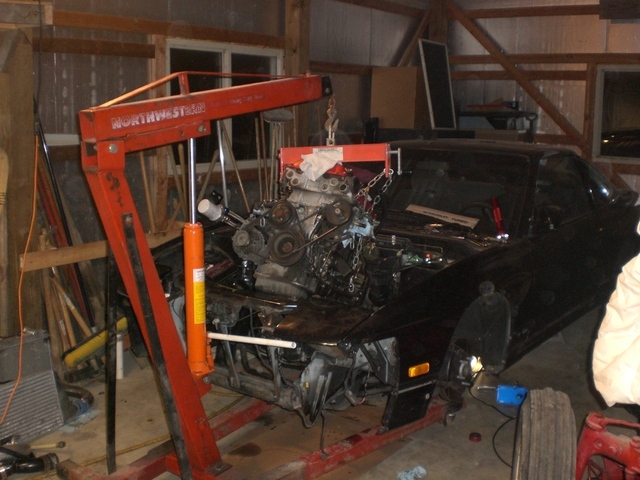 Right now the motor is stripped down to the block and head- everything from the upper oil pan down has been removed. On Sunday, we will finish removing the front cover and pull the head. 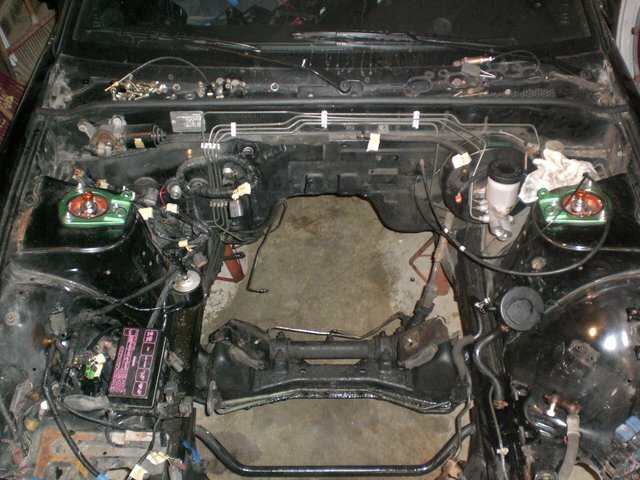 Once that has been checked out and decked if needed, we will work on the reassembly.